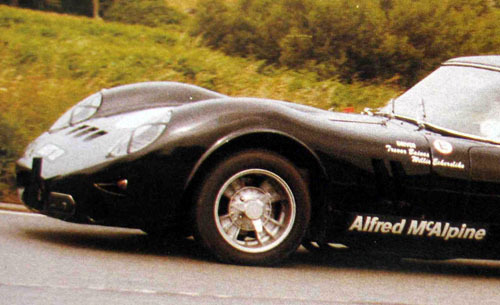 You're a vintage Jaguar racer and unable to keep up with the pace of those d*#%$ Ferraris 250 GTO? No problem! Just transform your E-type into one! If you can't beat them, join them! This must have been the thought of the owner of this modified Jaguar E-Type with GTO-style front end. We'd like to know who's responsible. Post your answer or leads to more information in our Forum's mystery-car-thread.